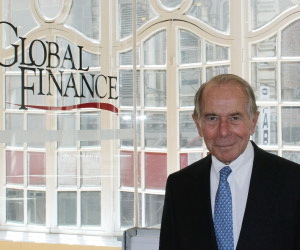 At this month’s Salon, Global Finance sat down with Maurice “Hank” Greenberg, former chairman and CEO of AIG and current chairman and chief executive of CV Starr. Greenberg, who spent nearly four decades building AIG into a global insurance power, recently released his book, The AIG Story, co-authored by Lawrence Cunningham. Global Finance: Since the accounting scandals that led to the collapse of Enron and other global companies more than a decade ago, how have changes in corporate governance affected the way companies are managed? Hank Greenberg: Before Enron, a CEO managed a company, and the board was not as involved in daily management. There were more inside directors on the board. Then the New York Stock Exchange changed the rules and, among other things, mandated more outside directors. There was constant pressure for shareholders to select outside board members. After Enron, boards were more concerned about their own liability. They hired their own counsel. There was a gap between the two [internal and external]. The role of the board has changed as the role of corporate governance changed. As the corporate governance laws changed, the CEO was stripped of power. The CEO’s position was being eroded: They spent more time defending themselves and their actions than managing the company. Arthur Levitt, former head of the SEC, was called in by his friend Frank Zarb to restructure corporate governance at AIG. Levitt did away with most of the board committees and wrote in a letter to the shareholders that was incorporated in their year-end letter to shareholders that AIG now had the best corporate governance in the US. It was like the captain of a ship telling the passengers how safe the ship was when it was sinking under them. So much for Levitt’s insights. GF: How has the recent wave of shareholder activism affected corporate governance and control? Greenberg: There’s a price you pay for greater shareholder activism: Generally, companies don’t do as well afterward. GF: Is it a trend that is likely to continue? Greenberg: The pendulum swings in both directions. After Enron, it swung too far. Obviously there were things that were wrong at some companies, but was it necessary to destroy an entire company [referring to the demise of accounting firm Arthur Andersen]? Thousands of people lost their jobs. You’re not going to cure dishonesty by making everyone suffer. GF: What is your opinion on proposed changes in insurance regulation? Is the insurance industry more secure with new rules, such as the Solvency II Directive in the EU? Greenberg: The regulatory environment has become hostile to many industries, and insurance is no exception. Solvency II [EU directive harmonizing insurance regulations, particularly on capital adequacy] will have to be changed. It would leave a company with a return on equity of less than 5%. There are some indications that regulators might be considering relaxing the rules under Solvency II. In the United Kingdom, the Financial Services Authority’s rules are becoming punitive. Companies are spending more time than it is worth to operate there. 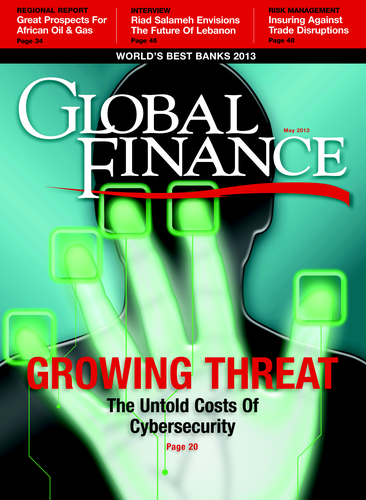 GF: Has the AIG insurance-firm model of expanding quite broadly on a global basis changed? Greenberg: The insurance model has changed. We (CV Starr) don’t want to be in every country. We want to only be in countries where there is an opportunity. GF: When did the financial troubles of AIG start? Greenberg: The day I left the company. It lost its AAA rating shortly thereafter. After I left [in 2005], the new management disassembled the risk management controls that we had in place. They loaded up on CDSs [credit default swaps]—supposedly on super-senior tranches, but it was super-senior garbage. GF: Credit default swaps played a big part in the financial difficulties at AIG during the crisis. What are your thoughts on the issues with CDSs? Greenberg: You don’t want to stifle innovation, but you need to have an exchange to value these things. The problem with CDSs is that there is no exchange with a listed value, which makes price discovery difficult. GF: Within the commercial insurance industry, AIG had a reputation of taking a long time to satisfy the insurance claims made by its commercial policyholders. Can you comment on that? Greenberg: Many of these policies are not simple, such as auto or homeowners. Gathering the facts to determine the amount of loss, [often] in foreign jurisdictions, takes a bit of time. GF: What is your perspective on globalization? Greenberg: Every decade, things change. Ten years ago, China was not the second-largest economy in the world. In less than five years, it will be number one. It has 1.3 billion people. The United States has 315 million. Once they get on the road to developing their consumer market, they will pass us by a mile. There are millions of small businesses in China that can’t borrow money from the banks right now. The banks are lending to the state-owned enterprises, and SOEs don’t pay any taxes. These small businesses are paying 20% for funds. Once the banks start lending to them, they are going to explode with growth. That means the Chinese consumer market is going to explode. GF: If the US president called you for your advice on what this country needs, what would you tell him? Greenberg: The current president would not call me for advice. GF: If he misdialed and got you by accident, what would you tell him? Greenberg: That government spending is not the answer to job creation and the vitality of the country. The private sector is the job creator, the innovator, and always has been. We only need to look to Europe to see what happens with too much government interference. We can’t keep on spending over the long-term. We are burdening the next couple of generations with our debt.